It is safe, convenient and accurate to control precision. 1. Improve the surface roughness, and the roughness can basically reach the Ra less than 0.08um. 2. Correction of roundness, the ellipticity can be less than 0.01mm. 3. Improve the hardness of the surface to eliminate the deformation of the force and increase the hardness of HV to 40. 4. After processing, the residual stress layer and fatigue strength increased by 30%. 5. Improve the quality, reduce wear, and prolong the service life of the parts, but the processing cost of the parts is reduced. High efficiency – a few seconds can process the surface to the desired surface precision, the efficiency is 5-20 times of grinding and 10-50 times more than the turning. High quality – the mirror accuracy of the first step in the realization of Ra0.05-0.1um; The surface is extruded and hardened, wear resistance and fatigue strength are improved. The dimensional precision can be stable for a long time. Economy – no need for large equipment capital, land, power consumption, waste disposal and other inputs; You don’t need a professional mechanic. Convenient – can be installed in any rotation and feed equipment, without professional training can process the burnishing precision. Environmental protection – no chip (protection), low energy consumption. 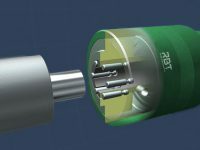 Safety – no cutting tool without cutting edge. We are Manufacturer, Exporter, Supplier and Trader of Roller Burnishing Tools. Offered to the customers is a high quality range of Roller Burnishing Tool as per their specific requirements. 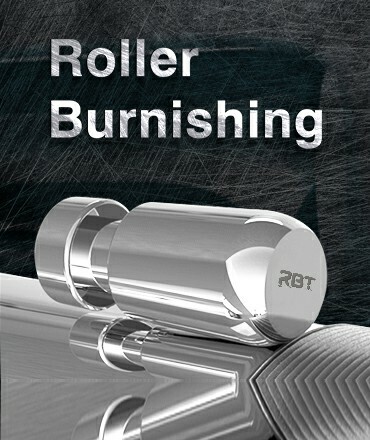 Why do many people use roller burnishing tools to burnish? Roller burnishing improves surface finish by removing scratches, tool marks and pits and induces beneficial compressive surface residual stresses. Consequently, corrosion performance is improved because corrosion products and residues cannot be entrapped. In this process known as low – plastic grinding, the rollers move only once on the surface, resulting in residual stresses and minimal plastic deformation. Internal cylindrical surfaces also are burnished by a similar process, called ballizing or ball burnishing. In this process, a smooth ball is pushed through the length of the hole. Roller burnishing is used to improve the mechanical properties of surfaces as well as their surface finish. It can be used alone or in combination with other processing techniques such as grinding, honing, and lapping. The equipment can be installed on various CNC machine tools to improve productivity and consistency. All types of metals can be roller burnished. Roller burnishing is typically used on hydraulic system components, seals, valves, spindles, and fillets on shafts. Roller burnishing has long been used on a wide variety of automotive and heavy equipment components (construction, agricultural, mining and so on), including piston and connecting rod bores, brake system components, transmission parts and torque converter hubs. 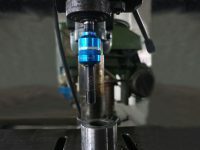 Burnishing tools are now widely used in non-automotive applications to achieve a variety of benefits: to create a better, more durable seal surface; Increased wear life; Reduce friction and noise level of running parts; And enhance the appearance; to improve wear life; to reduce friction and noise levels in running parts; and to enhance cosmetic appearance. Examples include valves, pistons for hydraulic or pneumatic cylinders, lawn and garden equipment components, shafts for pumps, shafts running in bushings, bearing bores, and plumbing fixtures. These burnishing tools process stepped or fully closed holes up to end. While the tools process the workpiece, the machine provides feeding speed which is needed. These burnishing tools process the holes with open ends. 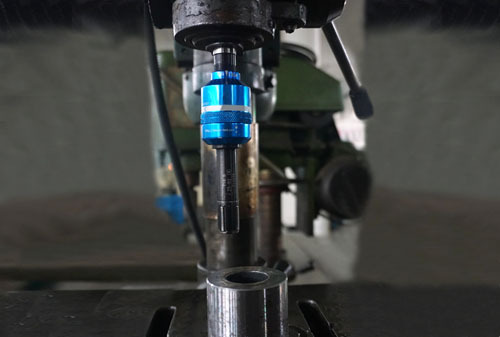 The machine provides the required feed speed when the tool is working on the workpiece.The tool or the workpiece can be turned with the speed of max. 250 m/min. The feeding speed of the machine can range from 0,05 mm/rev. to 0,3 mm/rev. for per roller. These burnishing tools process the holes with open ends. The tools provide own feeding speed which is needed while it is processing the workpiece. Feeding occurs free from the machine. We have emerged as a highly reliable Manufacturer, Exporter and Supplier of Roller Burnishing Tools in China. We can offered to the customers is a high quality range of Roller Burnishing Tools as per their specific requirements. The guide of how to buy roller burnishing tools in 2018. Roller burnishing tools have been widely used in the manufacturing field due to their many advantages. With the use of a roller burnishing tool, you can have a mirror-like finishing on your surface. In addition, it also helps increase the surface hardness. It limits reworks and reduces rejections. Using a roller burnishing tool doesn’t take much time as the only pass is enough to give a smooth and perfect finishing to your surface. If you are looking to buy a burnishing machine to avail its numerous benefits, this comprehensive buying guide can come in handy for you. Read about the purchase process of a roller burnishing tool. The first thing you need to do is buy a reliable roller burnishing machine to learn about different roller burnishing tool suppliers. Compare their specifications and features and select a product that provides maximum utility at the lowest price. For this, you can browse comments from different vendors. You can find these comments online. Although price is an important factor, it is strongly advised not to buy roller burnishing tools from a low standard brand simply because of its low price. Such machines will stop working after only a few days of use or start showing signs of deterioration. Therefore, you may have to spend extra money to fix it. As a result, it may turn out to be a costly affair for you. When buying a rolling burnishing tool, look for the one that can last for a longer period of time; it must be able to resist regular use. It is advised to buy durable ones even if they are expensive as they will turn out to be cost-efficient in the long run. If the reviews on the internet have proved to be overwhelming for you, it is recommended to ask for suggestions from the industry experts. Based on their experience, they will be able to suggest a rolling burnishing machine that will prove to be effective and reliable for you. There you go, now that you are aware of the top factors to consider before buying a roller burnishing tool, you can buy the best one out there. 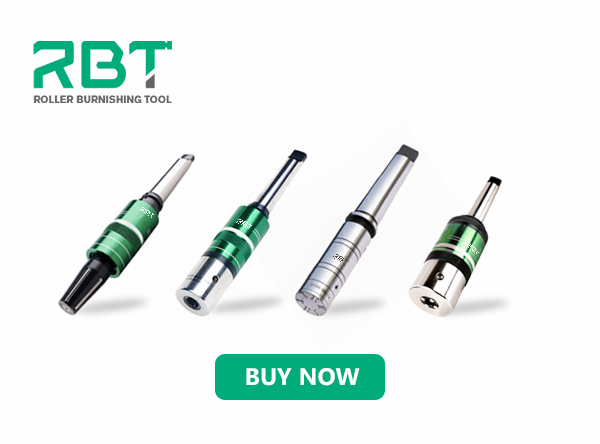 For a broad range of roller burnishing tools, do not forget to check out RBT’s machines, focuses on designing and manufacturing burnishing tools and machines so many years. We are the sub-brand of PURROS Machinery Co., Ltd that is popular for its premium quality and international standard burnishing machines.